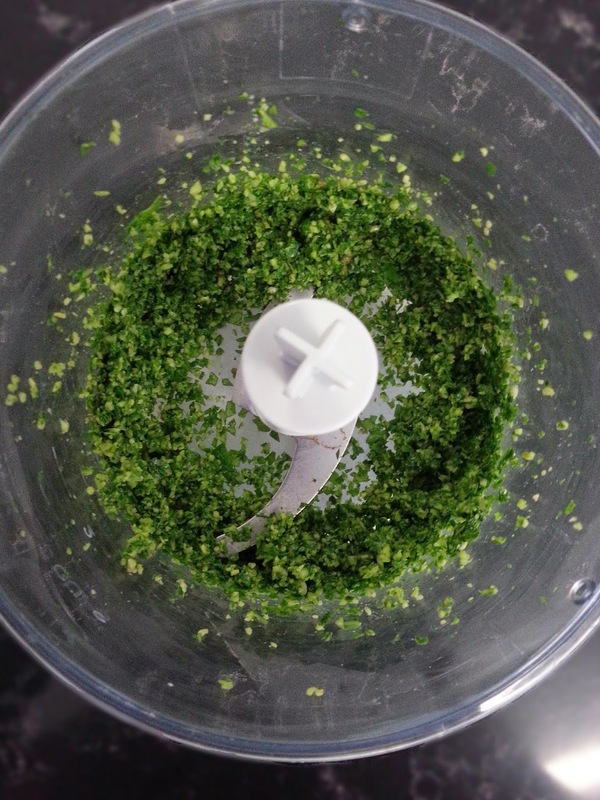 Who doesn’t love basil pesto? It goes so well with so many things. I love it in pasta with bacon, chicken and a touch of cream (or Light n Creamy Evaporated Milk if I’m being good), on sandwiches, (particularly a grilled cheese sandwich), through scrambled eggs, on pizza, as a dip, and on top of grilled chicken breast. If I’m going store bought, then I love Barilla’s pesto or pretty much anything from a deli. 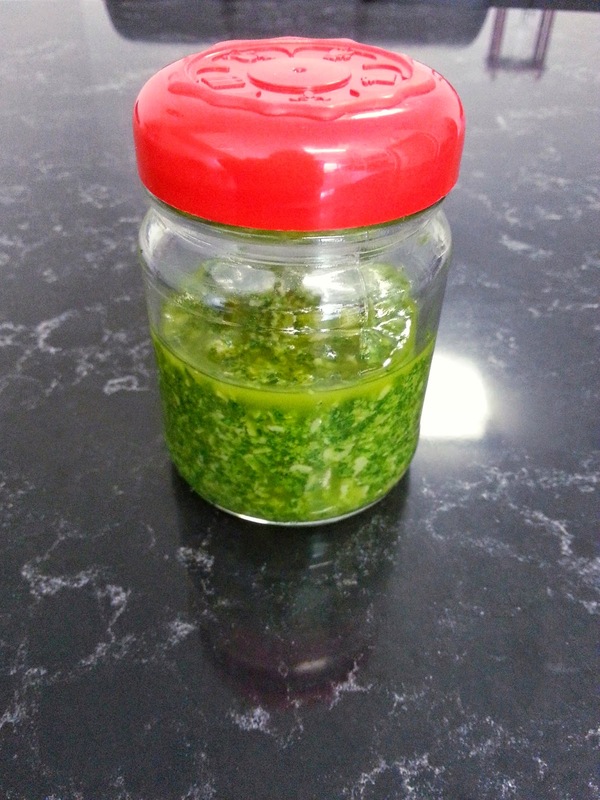 Nothing beats home made basil pesto, though. Today I’m making a small batch of basil pesto to go with my Haloumi and Tomato with Balsamic Glaze meal (to be posted next week), with leftovers to go through pasta later in the week. Oh wow. I couldn’t possibly go into all of them. 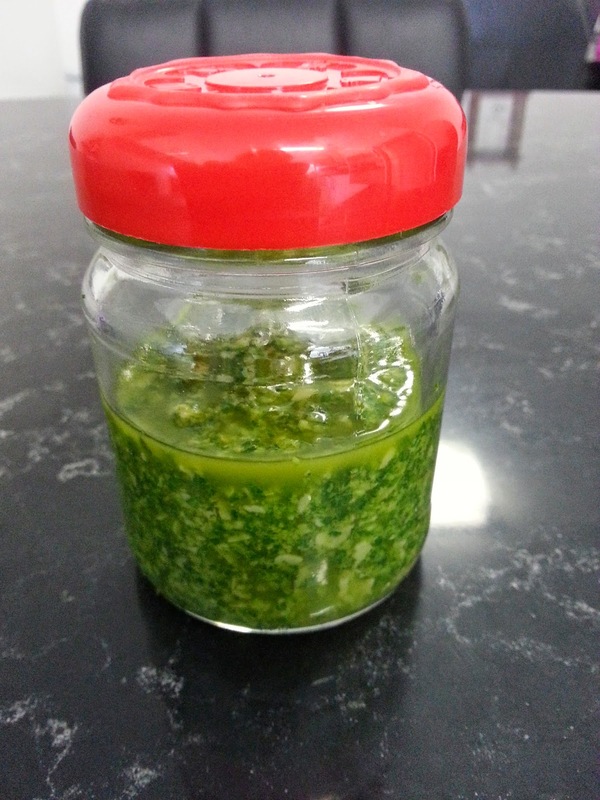 You can do sun dried tomato pesto, coriander pesto, spinach pesto, pretty much any green leaf pesto. The major spin I would probably use next time I make it is to use unsalted cashews rather than pine nuts. Some also use walnuts. Another option is to toast the garlic in its skin prior to peeling, chopping and adding it to the blitzer. This can bring out additional flavours. If you are vegan, then click here for a great vegan option from thelabkitchen. I love everything I have tried from this blog so far. 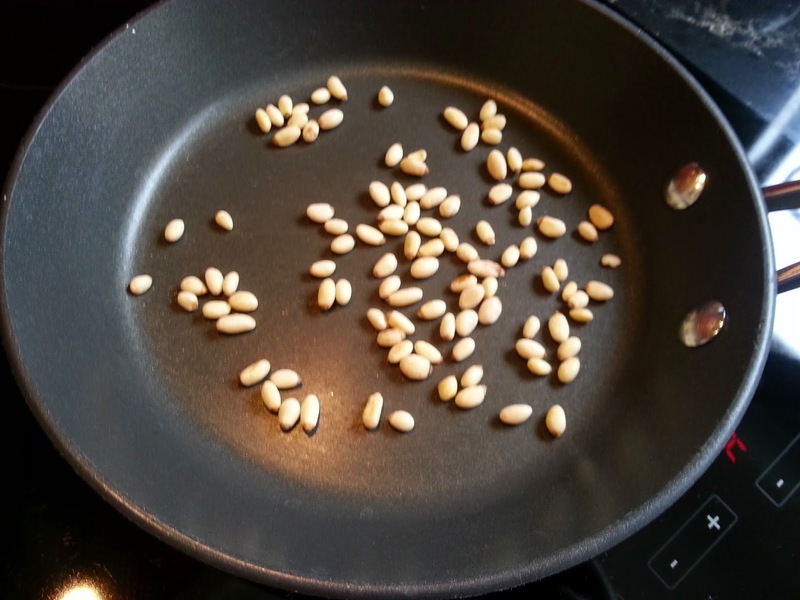 Toast pine nuts in a dry frypan until lightly browned. Combine basil leaves, nuts and garlic. Blitz until they are all about the same size. You may need to use a spatula to clean the sides a couple of times. Add olive oil, parmesan, lemon juice, salt and pepper (to taste). Mix. Ideally slowly add olive oil in a consistent drizzle while blitzing, but my blitzer does not allow this, so I just mix it through. Seal in a decent jar and store in your fridge for approx 2-3 weeks max. You will want to make sure that it has an extra drizzle of oil over the top, and check and top it up occasionally to ensure that it does not dry out. If you are making more, then just double or triple the recipe. If you are doing this, then you may want to consider using this ice tray method to store it in the freezer. If the idea of having your ice cube tray taken up is cumbersome, then try freezing them then sealing them in either vacuum sealed bags or ziplocked bags. I can’t 100% guarantee this method as I have not yet tried it, but it sounds good to me and I will report back once I give it a go.